Release information of Open Blu-ray ripper! Open Blu-ray ripper V2.90 build 520 is officially released. 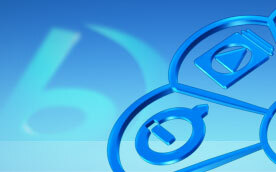 Open Blu-ray ripper V2.90 build 519 is officially released. Open Blu-ray ripper V2.90 is officially released. Supports the transcoding acceleration of latest graphics cards. Open Blu-ray ripper V2.80 is officially released. Added new profiles for iPad Air, iPhone 6, Samsung Note 4, etc. 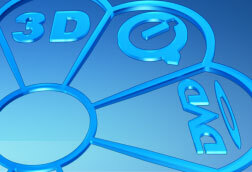 Added the function of ripping 3D Blu-ray movies to the side-by-side format. Added the auto-download module. Where there is a prompt for the new version, you can click on "Yes" to download the installation package automatically. Added the red-dot prompt for the new profiles. Added the support for H.264 4K format, and supports the H.264 4K TS profile. Open Blu-ray ripper V2.70 is officially released. Upgraded the transcoding engine, and improved the ripping speed. Open Blu-ray ripper V2.60 is officially released. Optimized the function of converting to the 3GP format. Open Blu-ray ripper V2.50 is officially released. Upgraded the decryption module and supports latest Blu-ray movies. Added the "MKV - Quickly rip" format, and increased the ripping speed. Open Blu-ray ripper V2.30 is officially released. Supports more latest Blu-ray movies. Open Blu-ray ripper V2.20 is officially released. Better supports for BD+ decryption. Improved the function of audio tracks and subtitles. Open Blu-ray ripper V2.10 is officially released. Optimized the support for BD+. Open Blu-ray ripper 2 is officially released. Rips Blu-ray movies to more video and audio formats. Supports more newly-developed media devices. Converts 2D to 3D movies. Supports batch conversion, which enables you to convert multiple chapters simultaneously. Added the Express and Expert interfaces which enable both new and professional users to operate Open Blu-ray ripper 2 more conveniently. Open Blu-ray ripper V1.81 is officially released. Supports formats compatible with latest mobile devices. Open Blu-ray ripper V1.70 is officially released. Fixed the LPCM audio decoding problem. Open Blu-ray ripper V1.60 is officially released. Enhanced the compatibility with Blu-ray audio. Optimized the analyzing process for Blu-ray discs and shortened the analysis time. Open Blu-ray ripper V1.50 is officially released. Enhanced the reading capability of Blu-ray discs. Open Blu-ray ripper V1.40 is officially released. Enhanced the ability to analyze Blu-ray movie source files. Fixed the bug that may lead to program termination. Open Blu-ray ripper V1.30 is officially released. Enhanced HST™ function and solved the problem of HST integration in AVI, MKV and iPod. Open Blu-ray ripper V1.20 is officially released. HST™ - largely increases the conversion speed, 800% faster than ever. Open Blu-ray ripper V1.10 is officially released.